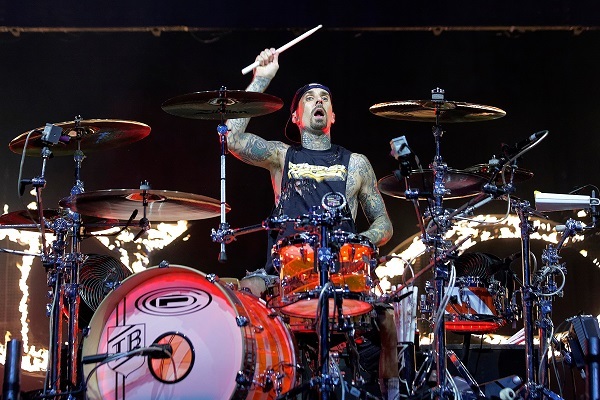 It looks like Blink-182 drummer Travis Barker should have healed from his blood clots by fall, because the band has just announced a slew of fall 2018 North American tour dates. The guys’ headlining tour will kick off on Sept. 12 in Moorehead, Minnesota, and run through a Sept. 25 date in Council Bluffs, Iowa. For information, visit Blink182.com. The upcoming tour will be Blink-182’s first concerts back since the band announced Barker’s battle with blood clots in June. Because of the blood clots, the band was forced to postpone their Las Vegas residency. In a message from Berker that was posted earlier this month, he’s doing better and on the road to recovery, but isn’t quite ready to get back to drumming. 9/15 — Columbus, OH, Express Live!